These composite Dibond plates consist of two external aluminum plates, one being a mirror polished, and of an inner core made of black polyethylene. 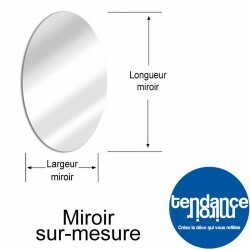 This composite mirror is very resistant because it retains the qualities of each material. Hard and rigid as the aluminum, and light and imperishable as the polythene! This quality-approved composite mirror allow technical and demading applications: - Outdoor mirror - Unbreakable factory mirror - Garden mirror - Unbreakable mirror - Foldable mirror according various techniques - Unbreakable children's bedroom mirror - Mirror for workshops - Mirror for establishments servicing the public - Custome-made Mirror - Mirror easy to cut and work with by yourself - And many more opportunities according to your imagination ... You can easily cut the Dibond composite mirror (aluminum and polythene assembly ) using simple tools like a jigsaw or a circular saw. For more information, feel free to contact our customer service. 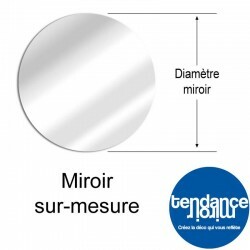 Custom-made Dibond Mirror There are 3 products.